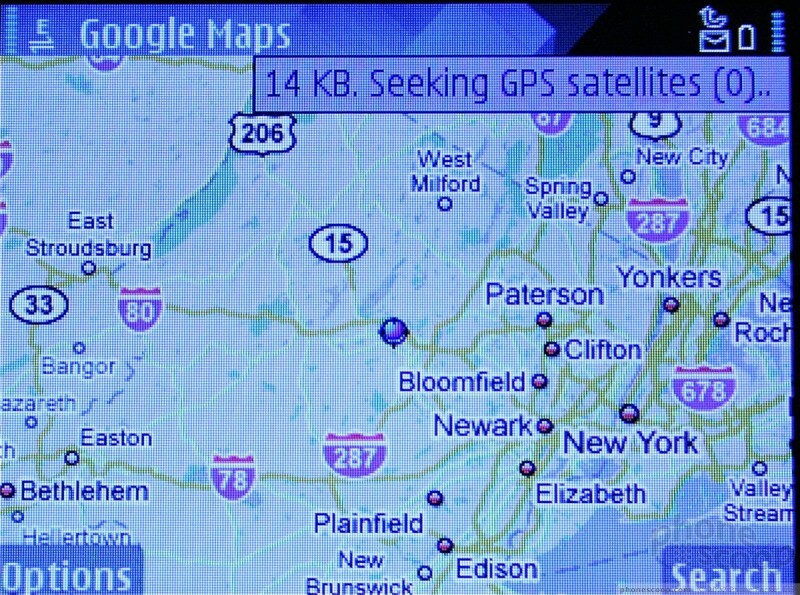 The E71 comes with full GPS and a-GPS. 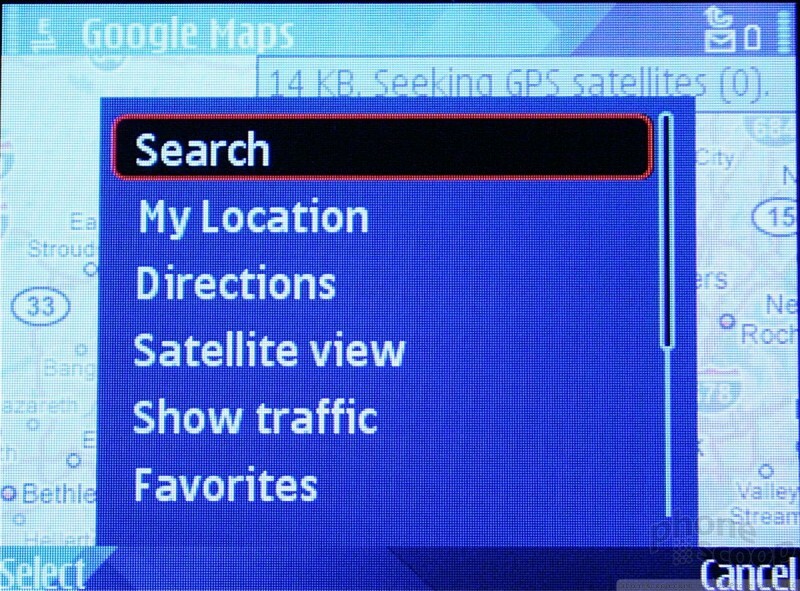 It is pre-loaded with Nokia Maps, which we were able to test using the included 7-day free trial. Time to first fix varies widely. We were able to find a lock in as little as one minute, and as much as 10 minutes (yeah, that's not very helpful). The closest it managed to peg us was an area about 15 feet away from our actual location. The Nokia software does a decent enough job to pick routes and get you from point A to point B. 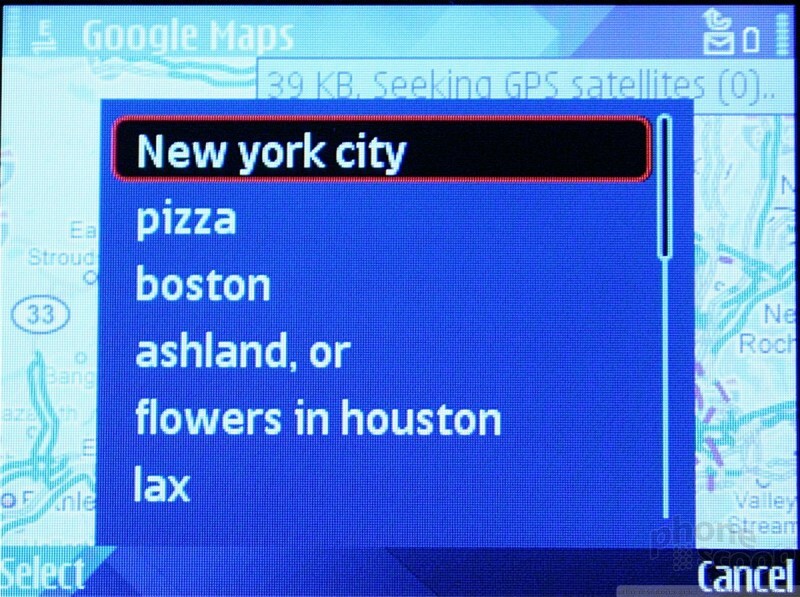 We also downloaded Google Maps just as a point of comparison. Time to first fix was almost always faster using Google's software versus Nokia Maps. This is perhaps because Nokia Maps uses just GPS, and Google Maps uses a-GPS, so it is getting some additional data to help it out. Either way, the GPS system works well when outdoors or in a car. It had a lot of trouble locating the phone once inside, but that's not all that surprising.